Samsung Electronics Co. finally announced its highly-anticipated flagship smartphones, S9 and S9+ at the Mobile World Conference in Barcelona on Sunday, which promises improved cameras and augmented reality (AR) features. The Galaxy S9 and S9+ smartphones don’t stray far from their predecessors, the Galaxy S8 and S8+ and just incremental improvements. The S9 (5.8-inch Quad HD+) and S9+ (6.2-inch Quad HD+) will maintain the same sleek look and feel of the previous models, and come with 18.5:9 aspect ratio screens, curved sides, and glass front and backs. Both the devices come packed with a Snapdragon 845 chipset (or Exynos 9810, depending on your market). The Galaxy S9 is said to come with 4GB of RAM, 64GB of internal storage and 3,000mAh battery, whereas the S9+ will be equipped with 6GB of RAM, 128GB of inbuilt storage and 3,500mAh battery. It will also feature a headphone jack, microSD slot, USB-C port, is IP68 dust and water resistant, and supports both fast wired and fast wireless charging. However, the new flagship smartphones’ biggest selling point is its camera, which Samsung claims is the “most advanced camera ever” that takes smartphone photography to the next level. The Samsung Galaxy S9 and Galaxy S9+ handsets have a Super Speed Dual Pixel sensor with dedicated processing power and memory that can combine 12 photos into “one amazing, high quality photo.” It will have two apertures: f/1.5 and f/2.4, suggesting that the camera could switch apertures depending on lighting conditions. While the S9 has a single-lens camera configuration, the S9+ has dual-lens, which means that the S9+ will support things like depth effect. Another feature of the smartphones is the Super Slow-mo that captures video at 960 frames per second (fps) at 720p, and 240 fps at 1080p. The Galaxy S9 and Galaxy S9+ also offers automatic Motion Detection, an intelligent feature that will automatically detect movement in the shot and begin to record. There is also digital zoom up to 8x (Galaxy S9) or up to 10x (Galaxy S9+), a High CRI LED Flash, playback zoom and video tags. As expected, Samsung is including AR Emoji in its phones, which uses a 3D-style emoji to capture an image of your face that can be sent through major mobile messengers, including KakaoTalk and Telegram. “Samsung lets users create an emoji that looks, sounds and acts like them. An AR Emoji uses a data-based machine learning algorithm that analyzes a 2D image of the user and maps out more than 100 facial features to create a 3D model to reflect and imitate expressions, like winks and nods, for true personalization,” the company said. Further, the Galaxy S9 and Galaxy S9+ will deliver an improved entertainment experience and more realistic sound with powerful stereo speakers tuned by AKG, and supported by Dolby Atmos surround sound. Further, the Galaxy S9 and Galaxy S9+ will come with Bixby, Samsung’s intelligence platform, integrated into the camera, which uses augmented reality and deep learning technologies to offer helpful information about a user’s surroundings. Additionally, the smartphones will be come equipped with the new SmartThings app, which unites Samsung’s existing IoT services into one single, smart experience, and many other features. 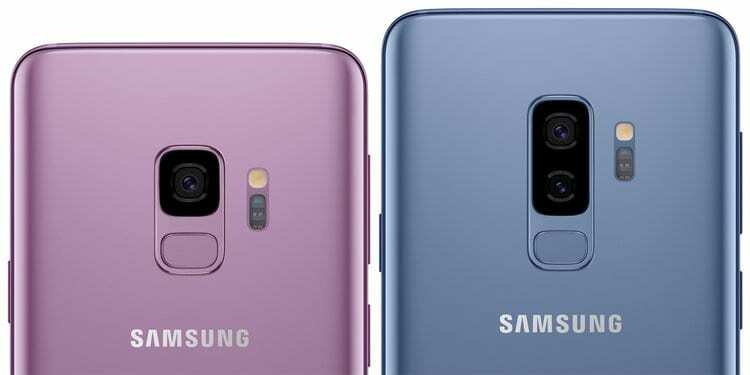 The customers in the US will be able to choose between color options, such Lilac Purple, Midnight Black, and Coral Blue at launch, while a grey model will also be available internationally. Pre-orders for the handsets start on March 2 and will be available on March 16, with the unlocked S9 and S9+ models costing $719.99 and $839.99 respectively. You can get the devices from AT&T, T-Mobile, U.S. Cellular, Sprint, Verizon, Best Buy, Amazon, Costco, Xfinity Mobile, Sam’s Club, Target, Walmart, and Samsung.com.